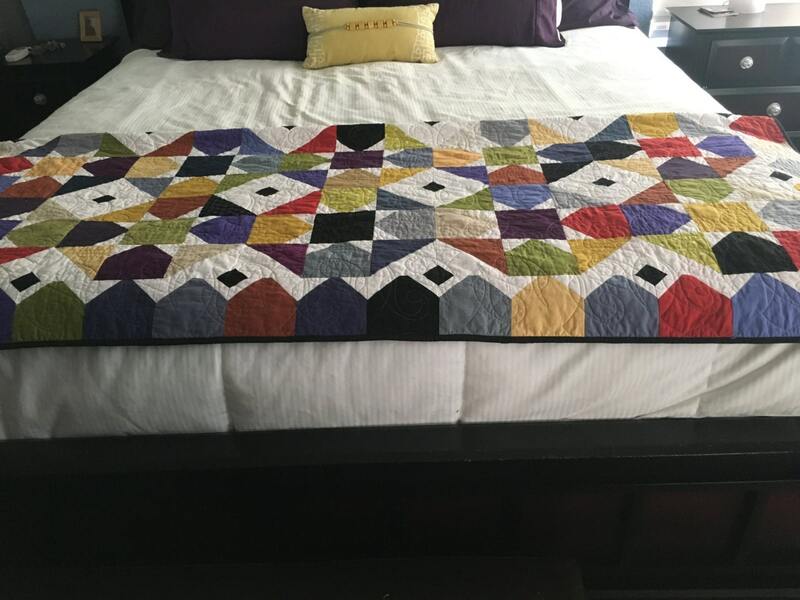 This beautiful, soft quilt will bring the perfect pop of color to any room It's pictured here on a California king bed and measures 62 x 72. Made of 100% cotton fabric, batting of a cotton/poly blend (80/20) and backed with a light beige "minky" plush fabric, guaranteed to feel great against your skin. 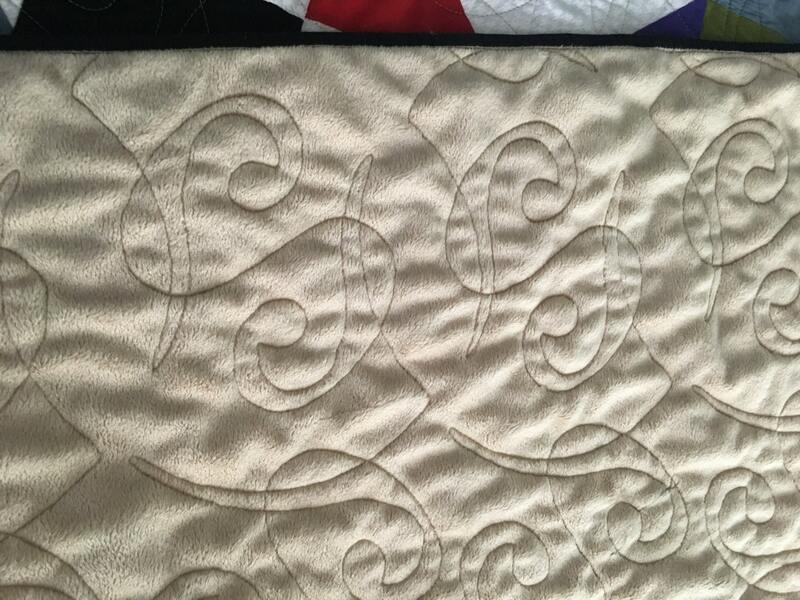 All of my quilts can be put in the washer and dryer and have been made in a smoke-free, pet-free environment. 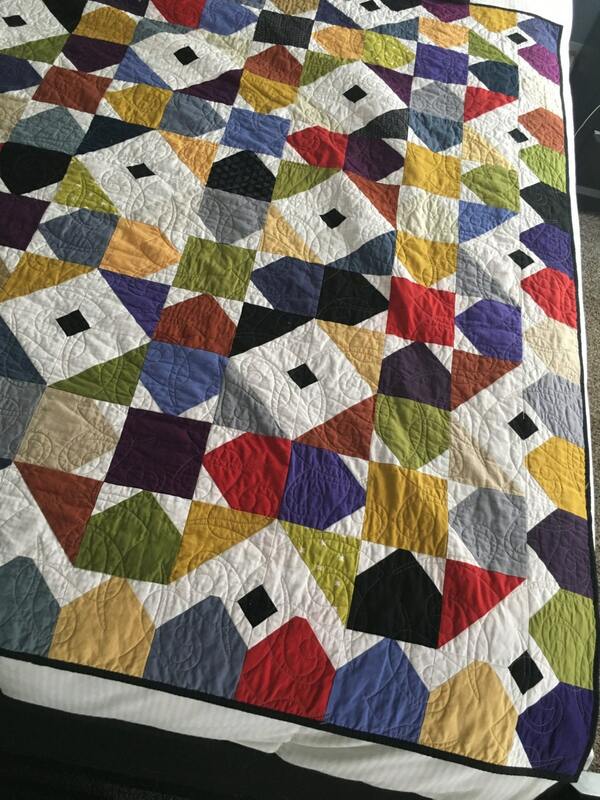 Should you see a quilt you'd like in a different color or size, I'd be happy to create a custom quilt to your liking. Please allow 30-40 day turn around time. Should actual shipping charges be less than indicated, I will refund any difference. While creating is my passion, I believe it is equally as important to give back, pay it forward, or strive to help others. 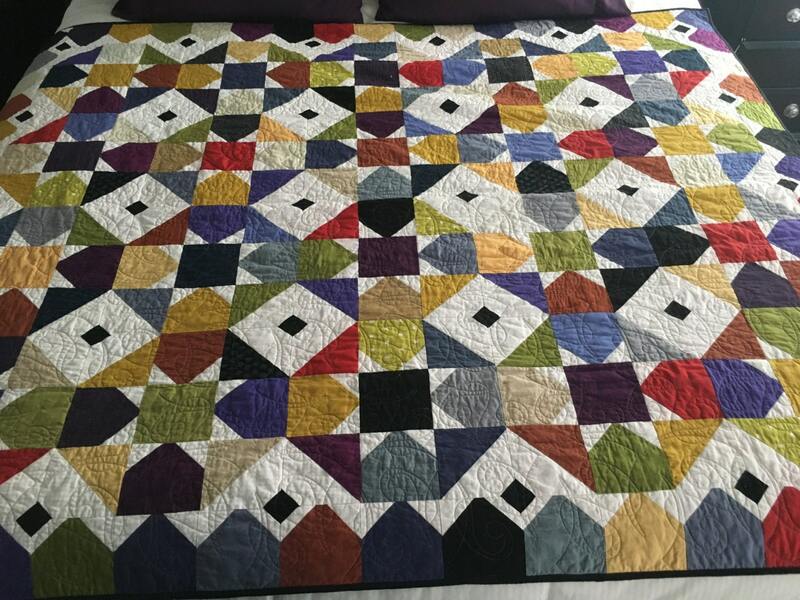 That said, for every quilt purchased through my shop, I will make and donate a quilt for needy child through Project Linus, an organization that gives quilts to terminally ill, traumatized or children in folster care. A photo of the quilt being donated will be sent to the person who purchases a quilt from me and the donation will be made in both our names.